Your classroom blog is amazing! I’m an ESL teacher and I want to create a blog like yours. On the right hand side you have links to each students blog. Do the students have to have their own email addresses to create their own blog then you add their link to your classroom class blog? I love how the link to each student’s blog is right there on your home page. My students move often. Is it easy to delete a student from the class list? I look forward to hearing from you. No, my students don’t have their own email addresses. To create their blog, I use my Google email address. The help section of Edublogs tells you step by step how to do this. Then, because Edublogs is set up to do this, links to the students blog magically appear in the side bar. I love Edublogs! Bringing special visitors in the classroom for the students is a great way to help them learn. Live animals allows the students to interact with the animal. The students can touch and feel the animal. 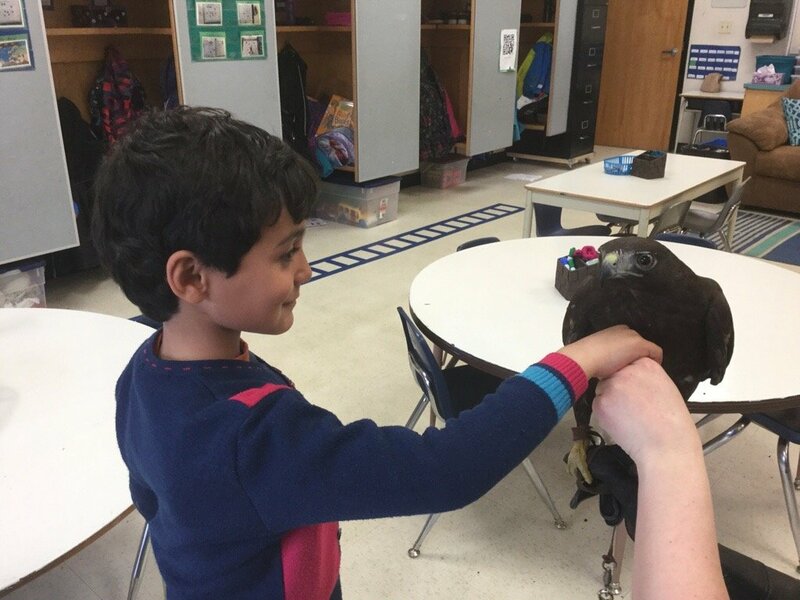 Having animals in the classroom is a fun and exciting way for students to learn. Thank you so much for sharing your classroom experiences with us! I love reading blogs from other grade 2 children. I am a Year 2 teacher from England and my class have recently started blogging too! What an amazing experience having those special visitors in to see you – it is not often we get to be so close to such a majestic animal! I love the picture of Hank – he is so beautiful. It must be quite hard for him being blind. I am glad he is being looked after so well. My class experienced what it would be like to loose our sight during our STEM week where we explored our senses. It made things ever so tricky! We have had some special visitors into our classroom today too – 3 little chickens that we have been looking after since they were 2 weeks old! They have grown so much over the last 5 weeks. Keep up the great blog – I shall look forward to reading about what you do next! This looks like an amazing experience! I bet you all had a lot of fun! What was your favourite part about the visit?